"The experiences dBs Music has given me are outstanding," explains Jack, "everything from recording the Plymouth University Orchestra, working in the commercial studio on the Neve Genesys, and giving me the opportunities and know-how to work actively within the festival circuit performing numerous roles as well as landing my new job at Time+Space. If it was not for the tutors within the dBs Music facilities, who are themselves dominant and leaders their industries, I would not of achieved the initial goal of which I started out with, which was to work in the music industry. The entire time I spent at dBs Music was made more enjoyable due to the fact, the whole course was well planned, executed and fulfilled in a way which really reaches out to budding producers and musicians. If you are thinking of studying at dBs music, don’t think twice. I enjoyed my time so much there, I wish it had never ended. There is a course for everyone from; live sound, studio, DJ’s and musicianship – of which are all extremely in-depth. 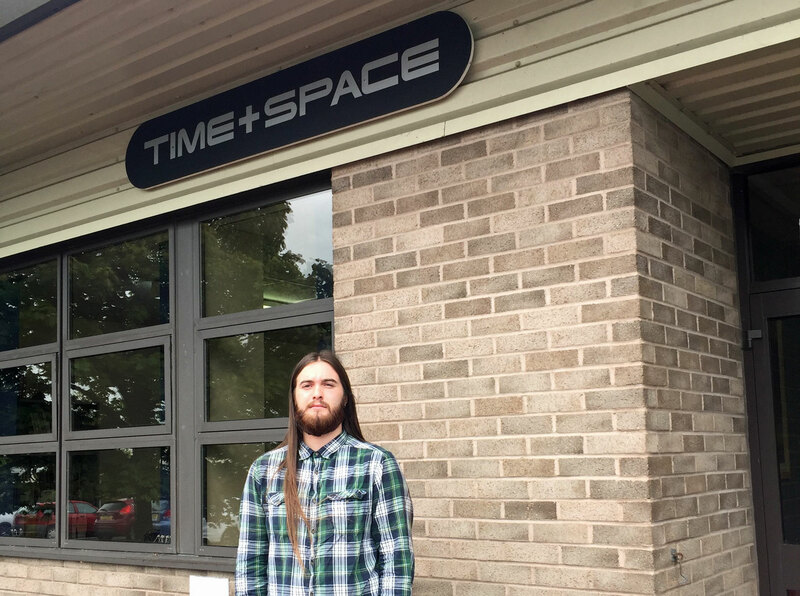 "My job at Time+Space was arisen by dBs Music tutor Stu Welsh, who forwarded an email to me from Time+Space regarding a new job role which had come up – simply put, I handed my CV in, which was followed by a couple of interviews with the current team at Time+Space, and before I knew it I was working! So again, without the tutors connections and knowledge within the music industry, I would not be where I am today. Although I work for Time+Space, we also have a sister company called Zero-G founded by Ed Stratton, which leads to my worded job role for both companies is ‘Technical Support’, however my job it is more than this. Although I am heavily involved with the technical support for both companies, dealing with customers and large software companies (Izotope, Zero-G, Softube, Fabfilter, VSL, Spectronics, Gothic Instruments) day to day, I also dabble in the marketing and sales – being involved with the Time and Space Youtube channel and demoing new products on camera and with live demos! In October I am off to both; BPM in Birmingham and Absolute Music’s 5th anniversary showcase. "Working at Time+Space, it allows me to be involved in the music industry in more than one way – currently I work the festival circuit working within a number of roles, from a lighting engineer to stage management. It also allows me to develop my skilled within the industry, gaining contacts and knowledge so that I can further my interests in both; web based and practical work in the recording and festival circuits. That being said, my heart lays within studio based recording, of which studying at dBs Music and working at Time+Space has given me access to a variety of plug ins and software. Working as a technical engineer has given me insight of how a large amount of plug-in/software brands work, really helping me towards my production work." Besides his busy day job and other activities Jack also plays for an Alt-Rock band named Cousin Buzz which won Livewire's battle of the bands last year and which he's working on producing a new EP with you can check them out on facebook here.